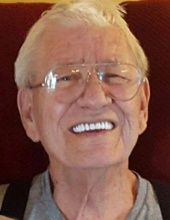 Stephen Holt "Steve" Winfrey, age 76, of Farragut passed away Sunday evening, November 11, 2018. Steve was a member of Carpenter's Chapel Assembly of God. He was a graduate of Farragut High School. He was a veteran of the U S Army. Steve was a barber and hair dresser for over fifty years. He was an avid music lover but most importantly, he was a loving husband, father, grandfather and great grandfather. Steve is preceded in death by his parents, Charlie Winfrey and Norma Weisenberg; brother, Marion Lee Winfrey; son-in-law, Michael Humphrey. He is survived by his wife of 39 years, Nellie Sue Winfrey; children, Wendy Johnson and husband Jim, Kimberly Humphrey, Sheri Hopson and husband Paul, Terra Smith and husband Ron Black, Johnathan Winfrey and wife Denee; eleven beloved grandchildren; fourteen cherished great grandchildren and one great grandchild on the way; nephew, David Winfrey. The family will receive friends 5 to 6:45 p.m. on Thursday at Carpenter's Chapel Assembly of God followed by a Celebration of Life at 7 p.m.
Click Funeral Home Farragut Chapel, 11915 Kingston Pike is serving the Winfrey family. To send flowers or a remembrance gift to the family of Stephen Holt "Steve" Winfrey, please visit our Tribute Store. "Email Address" would like to share the life celebration of Stephen Holt "Steve" Winfrey. Click on the "link" to go to share a favorite memory or leave a condolence message for the family.